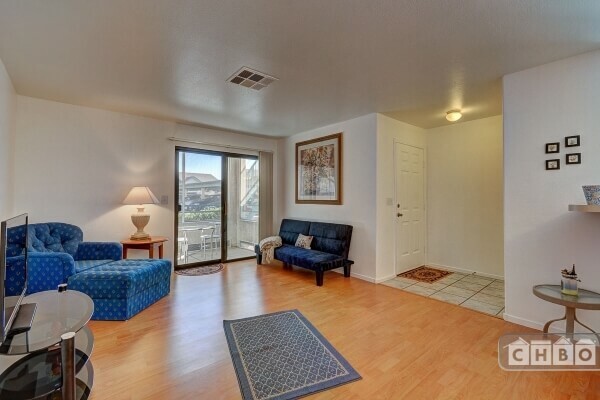 Charming end unit, lower level condo in the heart of Las Vegas. Premium location in the gated community of The Keys, which offers a gorgeous pool, spa and work out room. 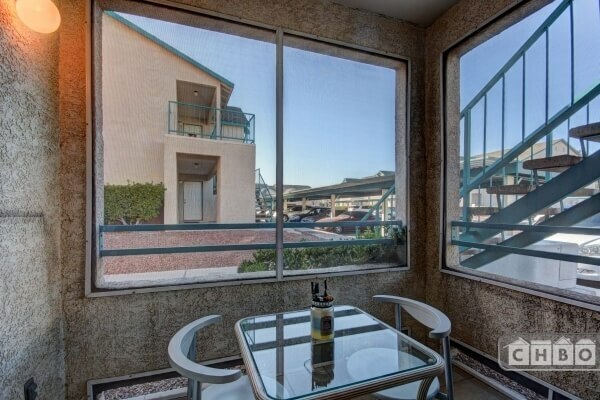 This 680 square foot condo is conveniently located 2.5 miles from the famous Las Vegas strip and only a 12 minute drive from the airport. 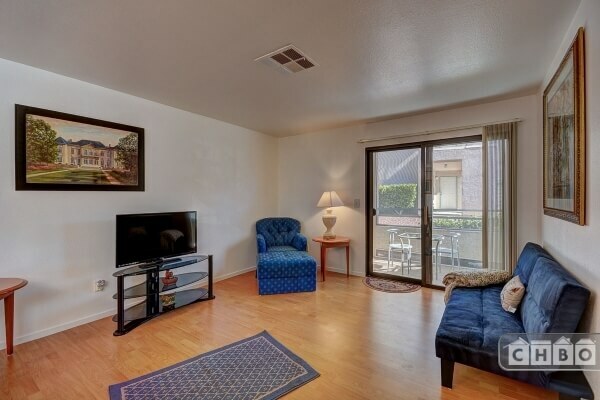 This light and bright condo is in walking distance to restaurants and shopping. This one story home is fully furnished with one spacious bedroom with walk-in closet and one large bathroom with sunken tub and shower. 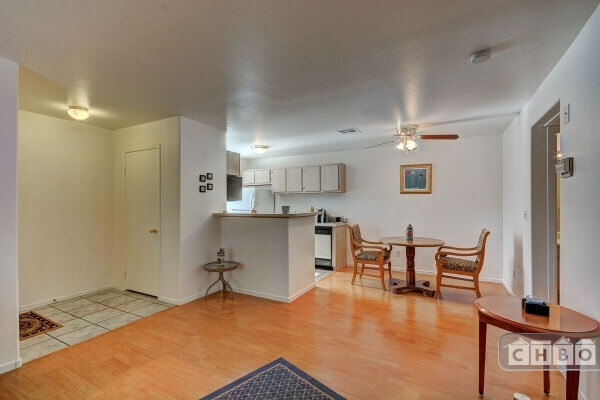 It is very clean, with fresh paint throughout and laminate and tile flooring. 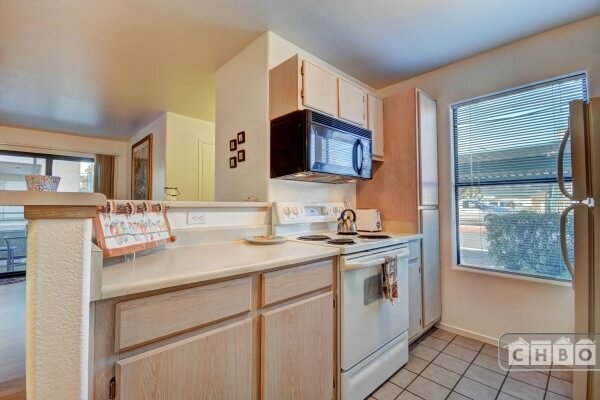 It has an open floor plan which offers the perfect size kitchen that comes complete with all the appliances and utensils you will need! 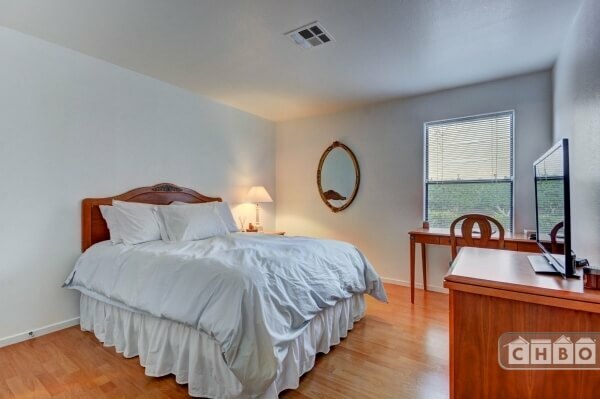 This condo has a queen size bed in the bedroom and a fold out sofa if needed for an occasional overnight guest. You will be assigned one covered parking space in the carport. 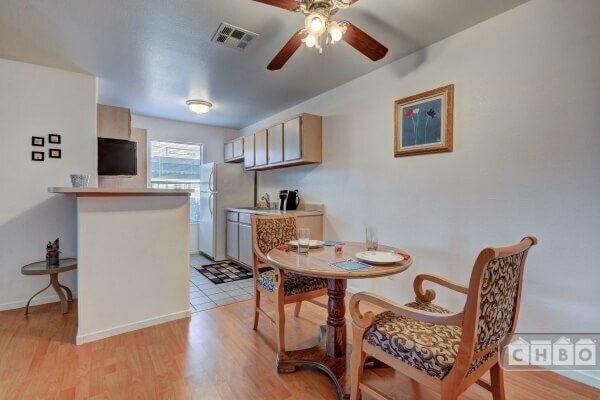 It has everything you need for the perfect Vegas getaway or a productive business trip. Your own outdoor private screened in patio with tile flooring to relax and enjoy the incredible weather. 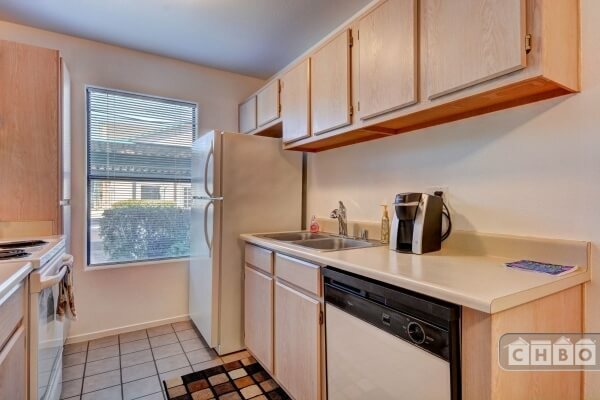 This fabulous condo comes complete with full size, stackable washer and dryer. 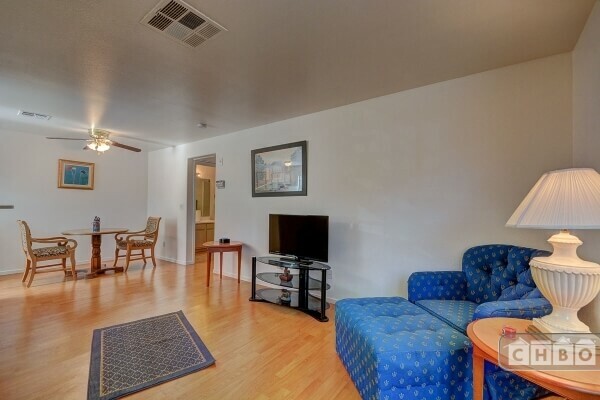 All utilities paidincluding cable and wi-fi. 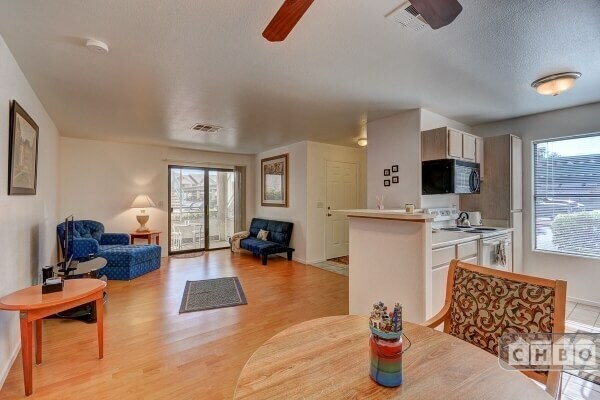 This is a great place to call your home for part of the year!